Amber Town Center Townhomes and Lofts -- a 4-story brick, metal, and glass building at the northwest corner of Town Center Drive and Livernois Rd., Troy. 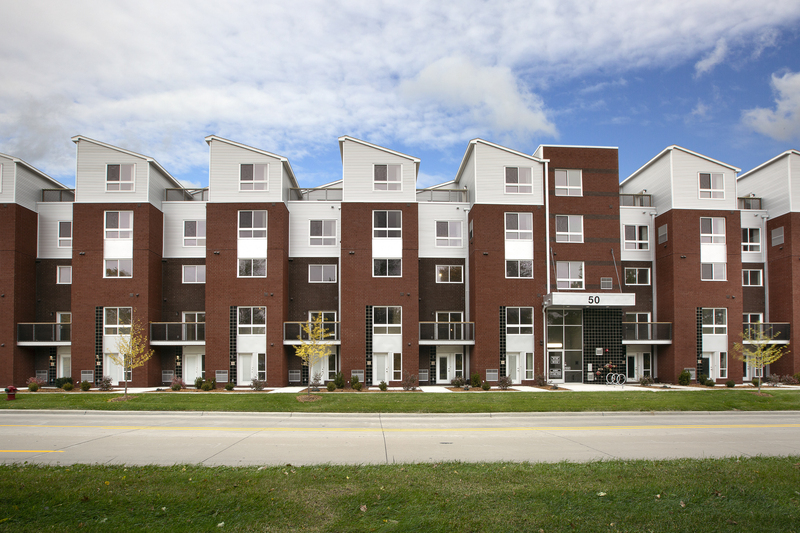 Urban-style Townhomes and Loft Terraces include hot and cold water, gas range and oven, microwave, refrigerator, dishwasher, exposed ducts, central air conditioner, ceramic tiled bath and kitchen, hardwood floors and paved parking; but exclude electricity, gas, and telephone. Laundry machines and vertical blinds are provided in each unit. Cable T.V. available. 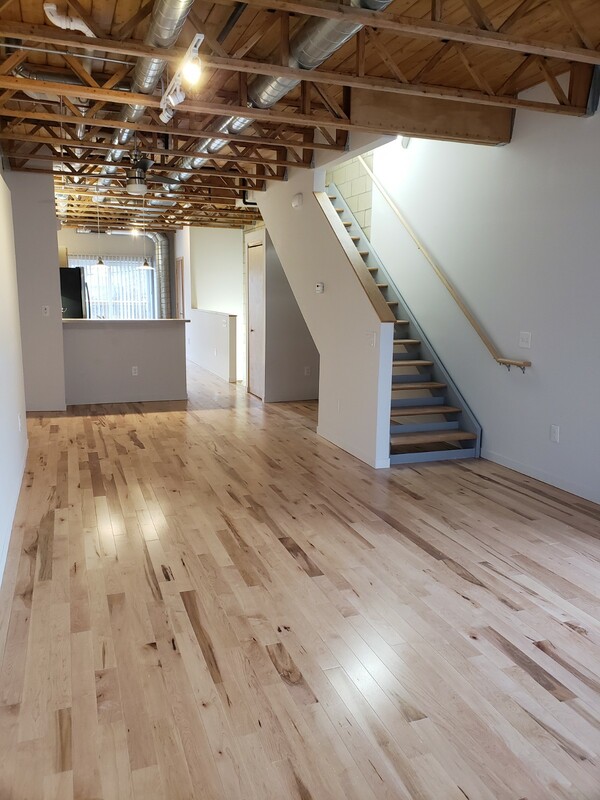 20 - Private entry 3-story 2 bedroom + den with polished concrete floors, 2½ bath open-plan Townhomes with patio and balcony, exposed trusses, and 2-car inside garage. Approximately 1,374 sf in area + 522 sf inside garage. 1 - Private entry 3-story 3 bedroom + den with polished concrete floors, 3 bath open-plan Townhome with patio and balcony, exposed trusses, and 2-car inside garage. Approximately 1,630 sf in area + 522 sf inside garage. 1 - Private entry 3-story 3 bedroom + den with polished concrete floors, 3 bath open-plan Townhouse with patio and balcony, and exposed trusses. Approximately 1,490 sf in area. 22 - 4th floor open-plan 1 bedroom Loft Terraces with 1 bath, hallway entry, mezzanine loft, roof-top terrace, exposed beams, and skylight. 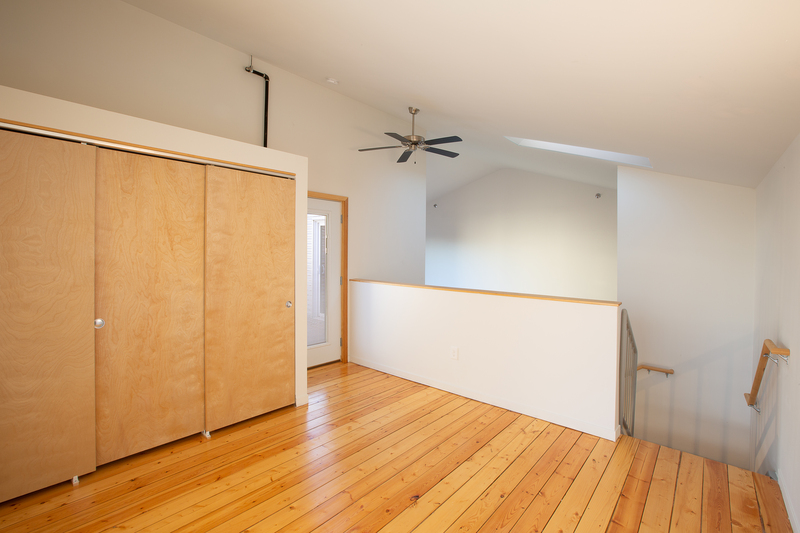 Approximately 769 sf in area, including mezzanine loft. 1 - 4th floor open-plan 2 bedroom Loft Townhouse Terrace with 2 baths, hallway entry, mezzanine loft, roof-top terrace, exposed beams, and skylight. 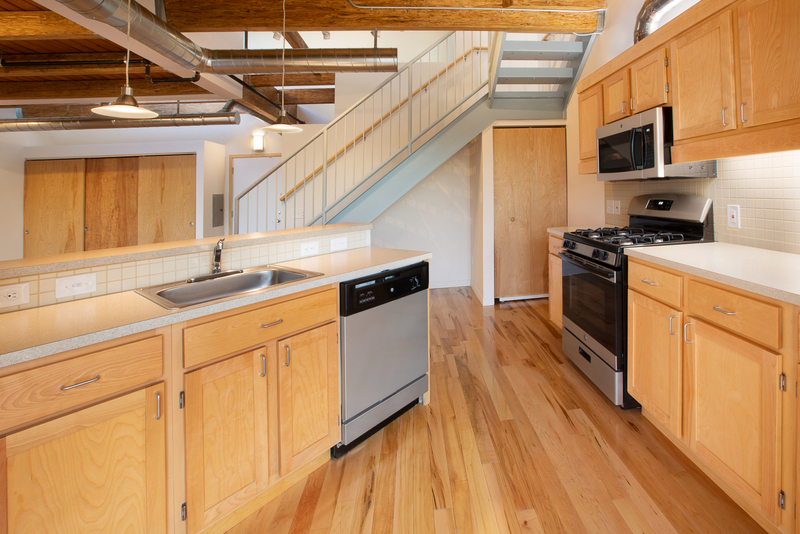 Approximately 1,164 sf in area, including mezzanine loft. 1 - Private entry 0 bedroom Studio with 1 bath, patio and polished concrete floors. Approximately 501 sf in area. 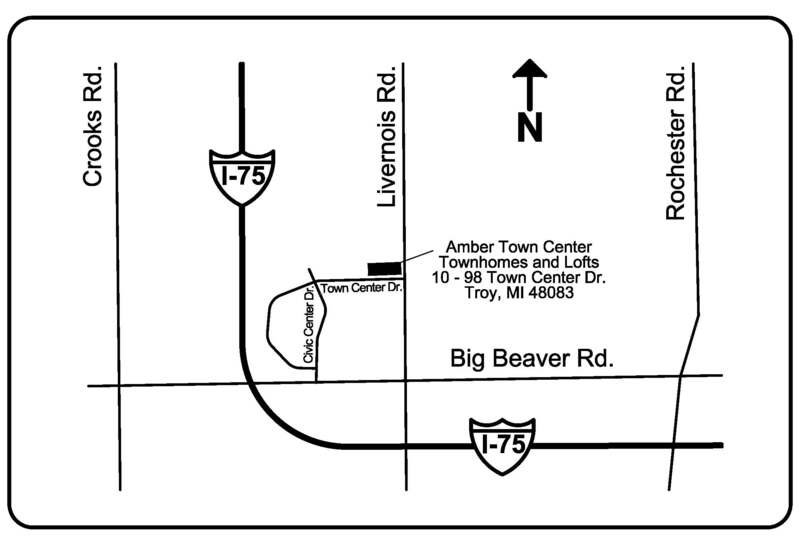 Amber Town Center Townhomes and Lofts are within walking distance of the Troy Community Center, Library, City Hall and Big Beaver Rd., near I-75, Woodward Ave., and Birmingham.